In loving memory of Donald Standish Ewell, Sr, CMsgt (USAF Ret), August 2nd, 1929 - November 5th, 2018. 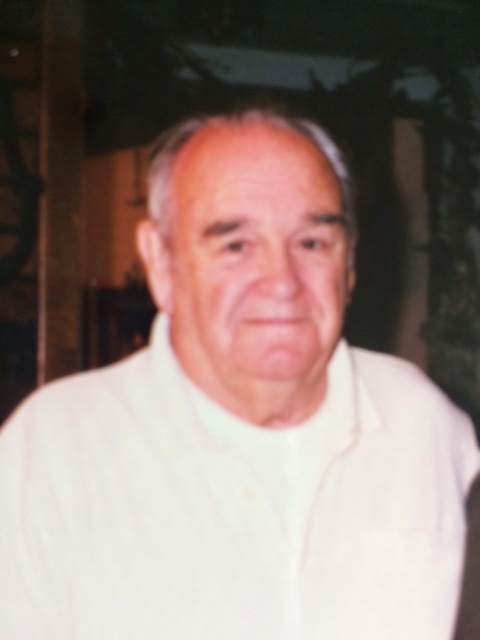 Don Ewell, a long-time resident of Lithopolis, passed away on November 5, 2018. He made good use of his 89 years on this Earth as a devoted family man, a proud serviceman, and a staunch supporter of his community. Don committed 23 years of his life in military service of his country, building a celebrated career as a Chief Master Sergeant in the US Air Force with a reputation as an expert in his field of aviation mechanics. During his time in the Air Force he met his future wife “Tommie”, who became his lifelong partner. They built a family together, and continued to shape the lives of their children, grandchildren, nieces, nephews, and extended family members throughout their 62 years together. They always made their house a place of love and warmth, where family and friends congregated, filled with the sounds and smells of life. He loved to be a part of his community, as a Mason, an EMT, and a proud member of the Bloom Township Volunteer Fire Dept. He and Tommie made a formidable team, partnering together to raise a family, organize a military household, and in later years run the successful embroidery business Crown Ewell Embroidery. He was a regular fixture at farmer’s markets in old town Canal Winchester, a gifted gardener with a talent for helping things grow, and an outstanding conversationalist who could strike up a friendship with anyone. He added warmth and vibrance to the world and will be sorely missed. He is preceded in death by his parents, Percy and Helen Ewell; beloved wife, Wanda “Tommie” Ewell; son, Lonnie Myles Ewell; sister, Betsy Robohm (Bob) and brother, Richard Ewell (Sherryn). He is survived by sister, Melissa Hall (Robert); son, Donald Ewell Jr (Jennifer); daughter, Beth Morrissette (Kevin); son, Ronald Ewell (Sharon) and 5 treasured grandchildren, Jeffrey Morrissette, Richard Morrissette, Hunter Ewell, Brett Ewell, and Laura Ewell, as well as numerous cherished nephews and nieces. Celebration of Life to be held Saturday, December 1, at Lithopolis United Methodist Church. Visitation will be from 2pm to 4pm with a brief service at 4pm and light refreshments following for friends and family. In lieu of flowers, contributions in his memory may be made to The Fairfield Area Humane Society, 1721 Granville Pike, PO Box 1109, Lancaster, OH 43130. Arrangements by DWAYNE R. SPENCE FUNERAL HOME, Canal Winchester, OH.